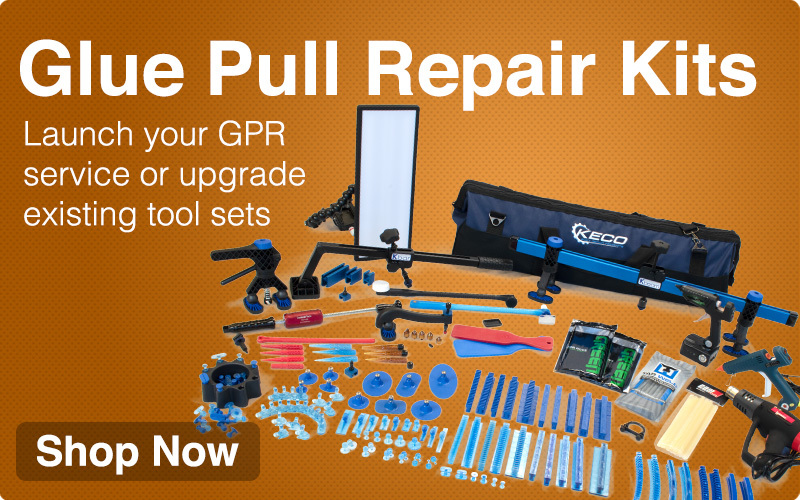 The Hail Compliment Set of PDR push tools and rods by Dentcraft Tools is a balanced of tools and rods for the technician who specializes in hail repair. Included in this set is the ever-popular "Big Bertha" rod for vans and trucks. This set compliments the Dentcraft Tech Set and is not recommended or appropriate as a stand-alone set. Combine with the Dentcraft's Tech Set and Door Compliment Set to have the entire Dentcraft Company Set of tools.